I subbed for Paul Daugherty’s The Morning Line blog in the Cincinnati Enquirer yesterday. 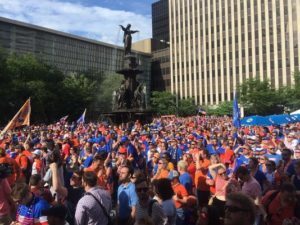 I reviewed the year in sports with a Cincinnati perspective. I hope you like it. I am an attorney located in Cincinnati, Ohio who practices in the areas of estate planning, probate, asset protection, and small business advice. I make a difficult and bewildering process as simple as possible. Most importantly, I provide "more for less" for my clients. © 2019. Jay Brinker, Attorney, All Rights Reserved.